LOUISVILLE, Ky. (August 29, 2018) – There’s now a smart way to locate Kentucky wineries and breweries. The Kentucky Department of Agriculture has introduced a free smartphone app to help you find your way to the many small-farm wineries and locally owned craft breweries. In addition to helping you find your way, the Drink KY app also lets you record notes of the beverages you sample and gives you rewards as you visit tasting rooms and tap rooms across the state. directions, hours of operation, and other pertinent information to help plan a tour. Facebook users can log in with no username and password to remember. The virtual passport automatically verifies the user’s location and notifies them when they are eligible for a prize. Users are eligible for prizes after seven check-ins to Kentucky wineries or 10 check-ins to Kentucky craft breweries. The app is available for both Apple and Android devices. 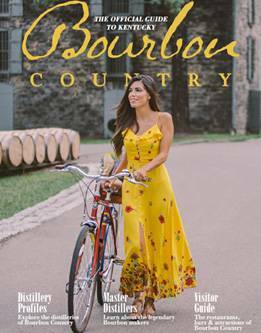 After you’ve had your fill of wine and beer, switch to bourbon and take advantage of another swag opportunity by picking up a passport and visiting six of the 44 unique bars and restaurant stops on the Urban Bourbon Trail (UBT). Passports are available at any of the UBT stops or Louisville Visitor Center (4th and Jefferson streets). During September’s Bourbon Heritage Month, take advantage of the special promotion called Make It a Double! which rewards visitors and locals with an extra prize. Passports must be redeemed by Sept. 30 at the Louisville Visitor Center to receive a limited edition “I’d Rather Be Drinking Bourbon” water bottle in addition to a t-shirt. Available while supplies last. For those planning a visit to the area, Louisville Tourism provides several planning resources, including suggested itineraries at GoToLouisville.com/myexperience, the monthly Lookin’ at Louisville video series, a searchable list of events at www.gotolouisville.com, a free Louisville Visitors Guide and complimentary hotel booking service via 1-888-LOUISVILLE.